The Mathematics Bake Off Results! Source: The Mathematics Bake Off Results! A love for nature and the environment is what initially drove us to create a card game about environmental conservation and endangered animals. We wanted to raise awareness about these important issues and inspire people to become more environmentally responsible citizens, so that future generations will still be able to enjoy all of the wonders of nature that we have today. At the same time, as a team of Science Communication masters students, we are always looking for new and exciting ways to communicate science to a wide array of audiences. And thus, “The Birds and the Bees” card game was born! We have two different versions of the card game, one about Galapagos penguins and one about Hawaiian bees, both of which are endangered species. Our card game includes fun, cute animal facts like “Galapagos Penguins bow as a show of friendship and sometimes give each other gifts!” In the game, participants act as an endangered animal (either a penguin or a bee) and have to use the cards in their hand to overcome the obstacles and threats presented to them. It will require an element of creativity and reasoning, as participants must be able to justify how their cards can combat the obstacles they face. For example, when faced with the “Moulting!” card—(“You are moulting and can’t go swimming for 5-10 days”)—a person could use their “Preening” card (“Strengthen a bond with some mutual preening”), arguing that they will make a new friend to catch food for them. Anything goes, as long as you can tell a story behind your decisions! We want the card game to be as straightforward and accessible as possible, so no prior knowledge about science or the environment is necessary! The game is suitable for anyone who can read – just arrive with an inquisitive spirit and a willingness to learn a new game. We will be creating an eco-friendly immersive environment in which to play the game, complete with animal soundtracks and living plants! Going along with our goals of sustainability and environmental consciousness, we have also created the game pieces from recycled materials. The game should only take about 20-30 minutes and we will be set up all day in the Potterrow Dome (in Bristo Square) from 12:00 to 19:00 on Friday 24th February, so feel free to stop in anytime! Our environment is filled with amazing forms of life (penguins and bees, to name a few! ), and everything is deeply connected: each species has a special role that allows our ecosystems to work. So we have to take care of each other if we want to continue enjoying the wonders of our home! Equality and diversity issues in the workplace have been hotly debated for many years… and yet, there seems to be no shortage of possible solutions to the many difficulties that individuals face, whether in terms of access to work, to carrying out tasks as part of their roles and to reconciling these with family duties or personal circumstances. Whether this is to do with gender, social milieu, disability or other health conditions, a common conundrum remains: how can we live healthy and productive lives where we can cultivate our professional aspirations and at the same time maintain a happy, serene and accomplished personal life? As a woman, these questions have always been close to my heart: it is not just about the “glass ceiling”, but generally and more deeply about living a full life as a professional, a spouse and a daughter. Having lectured now for more than 11 years, I have discussed these same issues with students umpteen times… and it just so happens that one of my best, brightest students ever is now deeply involved in helping individuals grapple with these questions so that they can truly live this “full life” in their own workplace. I have known Ben Lyon for many years: he was one of my undergraduate and later masters’ students at the University of Liverpool where he graduated with an LLB and an LLM. We have since kept in touch and I can say with full confidence that he has made me truly proud: he is not just a very accomplished professional. He is also a person with a deep social conscience, who is very passionate about gender equality and who has translated his commitment and his passion in his current role. Ben is a real role model in my opinion, a person who has harmoniously reconciled his life as professional in a large and complex organisation such as Transport for London with his civil commitment to these important principles. 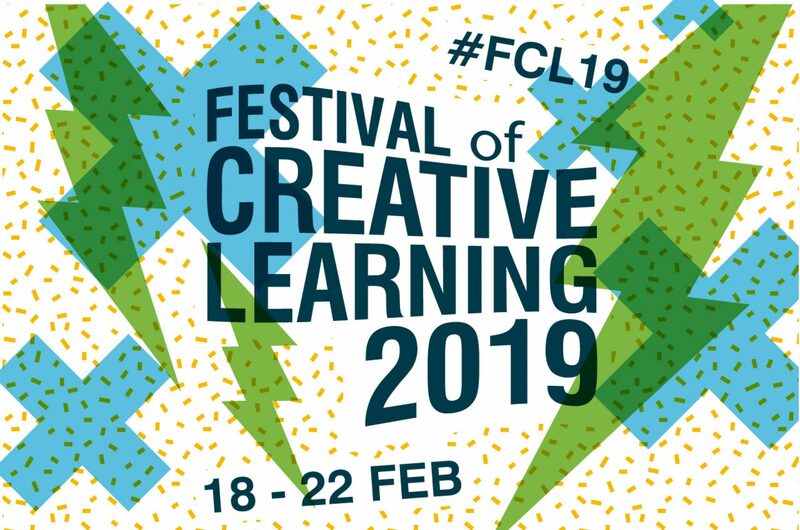 I am extremely pleased that he has accepted our invitation to speak in Edinburgh on Wednesday 22nd February as part of the University’s Festival of Creative Learning. His example will no doubt ignite discussion and hopefully offer a model for other students to follow. Arianna Andreangeli, Senior Lecturer in Competition Law, Edinburgh Law School. I am the organiser of the Mathematical Bake-off: Understanding mathematics by baking at the School of Mathematics on Monday 20th February, 12-2pm. During the workshop, you will have the opportunity to present your own cake (or any other baked goods) related to mathematics. It can be an illustration of the Pythagorean Theorem, a depiction of the Schrödinger equation or your favourite fractal. The connection can be symbolical or metaphorical, your creativity decides! You will also listen to other presentations and researchers will tell you about their revolutionary research. If you have a competitive spirit, I want to let you know there will be a competition for the most creative work with a prize! And yes of course, we will eat the cakes afterwards. For anyone interested, we will have a session 15th February from 5-6 pm in Room 3211, James Clerk Maxwell Building, King’s Buildings, to give you inspiration and get you started with your fabulous cake. Please send an email to s1614043@sms.ed.ac.uk to sign-up. Originally from Sweden (yes, we invented IKEA) I moved to Edinburgh in September for the accelerated Mathematics program. I have always been keen on trying to get people understand how interesting and important mathematics is and I joined the Mathematics Outreach Team in the autumn. We brainstormed about what events the School could run for the Festival of Creative Learning and one of the ideas that came up was mathematical baking. I remembered I gave one of my mathematics teachers a kind of artwork with gingerbread formed of numbers and integrals, so I thought I have to organise this event! Thinking about the aims of the Festival I thought it would be a tremendous idea to engage staff members. Science is about communicating what you have discovered to the broad public and by organising this event I will give researchers the opportunity to share their interesting research. Mathematics is also considered an abstract subject but by using baking this abstractness will hopefully be less intimidating. Sure, I admit it may be hard to explain mathematics just with a cake, but if you truly understand your area, you should be able to explain it as simply as possible. One example of an area of mathematics that immediately came to mind was topology. Topology is a branch of mathematics where we are interested about properties that remain the same after we stretch and bend the space, for example, a teacup can be deformed into a doughnut. In this workshop, you will have the opportunity to understand the notion of genus by looking at different cakes. It is the first time I will have run this type of event. The success of the event is dependent of the creativeness of the participants, so I will not know until the day whether there will be any amazing cakes…so please come along and join other enthusiasts for a great time! I hope to see you on the 15th and/or 20th February in James Clerk Maxwell Building.